In today’s world of financial unsettlement, it becomes necessary to save money. Yes, the inflation has gone up high but the income is still increasing at the pace of a snail. Many a time, people find difficulty in meeting both ends. So here I have shared some tips and tricks that will help you to save money using online coupons. Give preference to online coupons: Compared to printable coupons, it is better to go for online coupons. 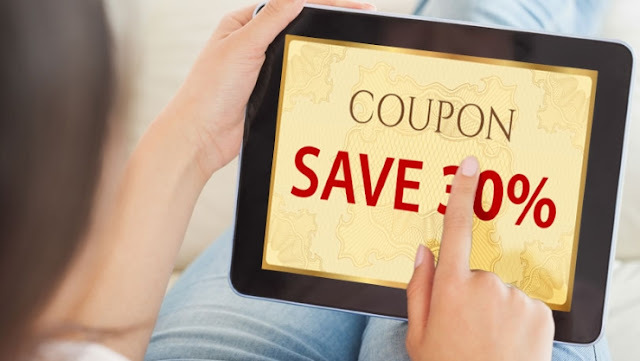 In case the coupon you are having has expired, then you easily go for online coupons compared to finding new printable coupons when you are already at the checkout. Go for right time: Remember that you are offered the best online deals thrice a month. Once during the beginning of the month, second in the middle and third during the end of the month. So better make a note of this on the calendar as a reminder. You will find fresh coupons during 1st-3rd dates, 14-16th dates and 28th to the end of the month. Check the best deal: If you are planning to buy a thing don’t wait to reach the checkout to know what they have to offer. Just visit a coupon site like Dealslands and look for the product that you are planning to buy. So now you can see what stores have to offer for a particular product. This saves you the time that you may end up spending at different stores. Understand the truth about expiration date: Expiration dates of coupons completely depend on the store. Stores have the right to change the expiration dates and expire the coupons days before the pre-decided date. They can change the date without any prior notice depending on the demand or limitation of the product. So better go for the coupon as soon as possible so that you don’t end up with empty hands. Go for reliable sites: Simply instead of searching for a coupon code from a particular store on Google, better go directly for a reliable site that provide coupons. The reason is very simple. You may not get the best discount deal simply searching on Google. Reliable coupon sites directly work with the stores and so you will get exclusive offers. Go for the promo box: Whenever you get a coupon code use it before you make a purchase. This will help you to get reduction before you make the payment. Say no to shared coupons: There are sites where people post coupons that they have. Avoid using them as chances are there that they are either expired or faulty. So better use sites where you can find coupons that are approved by the stores. Stack coupons: One of the best ways to get maximum out of deals is to stack coupons. For example, you can use a percentage off coupon with a free delivery offer. If the coupons are stackable, it is the best way to save more. So use these tips and save money when you shop for a variety of products and services.